In the next moment, the virtual figure of a fire wolf, more than 1 meter long leaped out, its canines bared and its eyes burning with fire. Its face was hideous and fierce like a live animal. When the virtual figure of the fire wolf appeared, the six beasts in the canyon were also shocked and roared with astonished gazes at Su Yi. The fire wolf howled and a strong aura rushed out making the valley feel as if it had become a sea of fire as the temperature soared. Su Yi’s pale face changed and the fire wolf which had materialized was currently lunging towards him. It was too fast. Su Yi who was still sitting down had no way of responding in time. Furthermore, he had just summoned that fiery wolf. His Yuan Qi and spiritual energy were all depleted and he felt as if his body was completely exhausted. He had no strength to stop what was happening. At the same time, the words of the mysterious person fell upon Su Yi’s ears and a tear of space appeared and like a wall, it instantly came in front of Su Yi. The fire wolf smashed against the tear in space and dissipated. It seemed that before the impact, the figure of the fire wolf was already starting to fall apart and dissipate. “Senior, then does this mean I have successfully cultivated the Heavens Taming Incantation?” Su Yi asked. Luckily this mysterious person helped him out just now, or else, he would have been killed by the fire wolf that he had summoned himself. The mysterious person seemed to feel a bit awkward. This was not only successfully cultivating the “Heavens Taming Incantation”, this was directly becoming a Soul Tamer! “It could be considered successfully cultivated. Seeing your performance just now, you could barely be counted as a Soul Tamer, but you lack experience,” The ancient voice said. Su Yi was delighted and could not help but jump in happiness. What talent of an errand boy? How could he have the trash talent of an errand boy? Soul Tamer. It was enough to speak for everything. He did not have a way to become an alchemist or a tool refiner, but a Soul Tamer was above even alchemists and tool refiners. “What are you so happy about? With your strength and lacking experience as a Soul Tamer, anyone would be able to instantly kill you when you go out,” The ancient voice said again and instantly poured a bucket of cold water on Su Yi’s head. “Senior, then the time that it took me to become a Soul Tamer, was it long or short when you became a Soul Tamer? 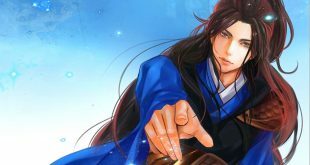 were you much faster than me?” Su Yi asked since this mysterious person could give him the “Heavens Taming Incantation”, he would definitely also be a Soul Tamer. When Su Yi asked that question, he did not know that currently in a space, an old face was cramping awkwardly. Back then he could be considered to be at the peak of all prodigies but when he officially became a Soul Tamer, he had a famous teacher and he still took 3 months and he was already considered to be an absolute prodigy. But this kid in front of him became a Soul Tamer in a few days. Did he have to tell this kid that he was not even equal to him? “It could be considered not slow, barely passable,” The ancient voice said. “Thank you, Senior!” Su Yi was elated. Now he indeed needed to recover and he was within the Forest of Demons. If he went out of the deep valley in his current state, it would be extremely troubling. He sat down. Su Yi was overfilled with happiness. That mysterious person was a man of his words and he did not trick him. Performing the “Supreme Chaotic Yuan Technique”, Su Yi started to meditate. Within the deep valley, silence dominated once again. As Su Yi recovered, there was a faint light moving around him and his place face gradually regained its color, his breathing became stable and strong as Yuan Qi flowed within his body. In that silent valley, from who knows when, the calm air around Su Yi started to circle him. Strands of energy almost impossible to see with the naked eye seeped out of the air and flowed into Su Yi’s body endlessly. When these natural energies entered Su Yi, with the performing of the “Supreme Chaotic Yuan Technique”, they immediately became a pure Yuan Qi, and gradually entered the Yuan Qi whirlpool within his Dantian. With that Yuan Qi entering the whirlpool, the Yuan Qi whirlpool within Su Yi’s body was expanding at a speed visible to the naked eye. When the Yuan Qi whirlpool finally became full, those pure Yuan Qi had even filled every meridian in Su Yi’s body to the brim and the Yuan Qi within Su Yi had also reached its limit and seemed like it was going to explode any moment now. Suddenly, a sound of an explosion came from within Su Yi’s body and the air in the surrounding shook slightly. Then, the Yuan Qi within Su Yi’s body headed towards his lower abdomen, converging and then rushed into the Yuan Qi whirlpool within the Dantian. Currently, the Yuan Qi whirlpool within Su Yi’s Dantian changed the direction of its spinning and suddenly became a vacuum like it had just exploded. But in an instant, when the Yuan Qi whirlpool spun in the opposite direction and became a vacuum, it instantly expanded to a whole new level. Then, the Yuan Qi from all directions rushed into it like a flash flood and filled the Yuan Qi whirlpool in the blink of an eye. At the mouth of the canyon, as Su Yi walked out, the Fire Eyes Beast Tiger, Fiery Demonic Mink, White Jade Swallow, Silver Soul Demonic Butterfly, Spectral Mouse and the Golden Python were all happy beyond measure and respectfully bunched up to him. At seeing this sight, the old voice let out a gasp of surprise. Su Yi stood at the mouth of the canyon. He turned and looked into the valley. That mysterious person had actually let me go. Silently looking at the valley, Su Yi originally wished that he could leave as soon as possible, but now he actually felt attached to this place. These few days though the person seemed as if he was threatening him, but in reality, he was taking care of him a lot.